When you start your website, you should keep in mind you want to Increase website traffic to the site. SEO is one such way of generating traffic.It requires a serious effort and you have to face competition from other websites to earn a top ranking in search engines. Here is the list of SEO Tips to attract more traffic and to beat the rivals. 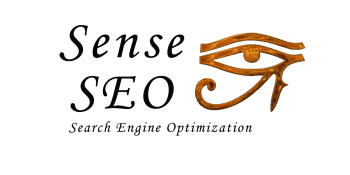 Keywords is the backbone of SEO and plays an effective role in attracting more traffic. By using the right keyword you are helping the visitors to pick the particular words about the content of your website, leading to more hits to your website. Use Google’s keyword tool: Google keyword tools are one such way to use when picking the right key word. The tool will tell you the popularity of the keyword and about the contest for the keyword. Many feel long tail keywords are not helpful in attracting traffic, but the irony is that the words are its strength. To describe the long tail keyword, it is precise or longer than the normal phrase. To understand the term better use the right ‘best dental clinic’ or ‘Los Angles best dental clinic’ instead of’ best dental clinic.’ The specific keywords like one mentioned will bring more traffic. The backlink plays an important role in generating more traffic to your site. Actually the backlink,linked to the other sites to direct the surfers to visit your website. The link helps you to attract more hits from the link and help in getting a higher ranking. To generate more traffic to your site update the content of your site regularly. The updates help the visitors to keep coming again and again and the leading search engines also take the point seriously. Now many people are using the social media platform to generate more traffic, because of the rise in the use of social media tools. Create a page on the Facebook for your site and ask your friends to like the page and bring more traffic to your site. You can also use the other social media platform such as Twitter, Instagram,Linkedin,Pininterest, and Google plus. Make sure your site content in order Ensure the content of your site is interlinked. This helps the search engines in giving the next page to the end and to the surfers. You may read about how many succeed in their life by keeping calm and silence. Don’t build expectations about more traffic to your site from the launch. Use the above given techniques and it may take time to attract traffic and make the visitors into clients. Also, keep a close watch on the analytics and make necessary changes. You require time and dedication for more visitors. There are no magic techniques to generate traffic to the site. Blog commenting Ask the visitor to make a comment on the blog on the site. The comments will keep coming and many will look into your profile. Forum commenting By the comments more people will visit the site is also a way to generate more traffic. By starting a discussion on the blog you can get more hits. Make the content informative for the visitors to post their comments. Use the Q&A sites like yahoo and Quora to Increase website traffic to your site. Give the right answer to the query posted by visitor you are assured of the visitor loyalty for a long time. YouTube You Tube is second in the list of search engines on the web, by making a video on your site, you can generate more traffic on how to and by a short presentation. Thanks for taking the time on how to increase website traffic.